Welcome to Day #2 of Ecuadorian Chocolate Theme Week. 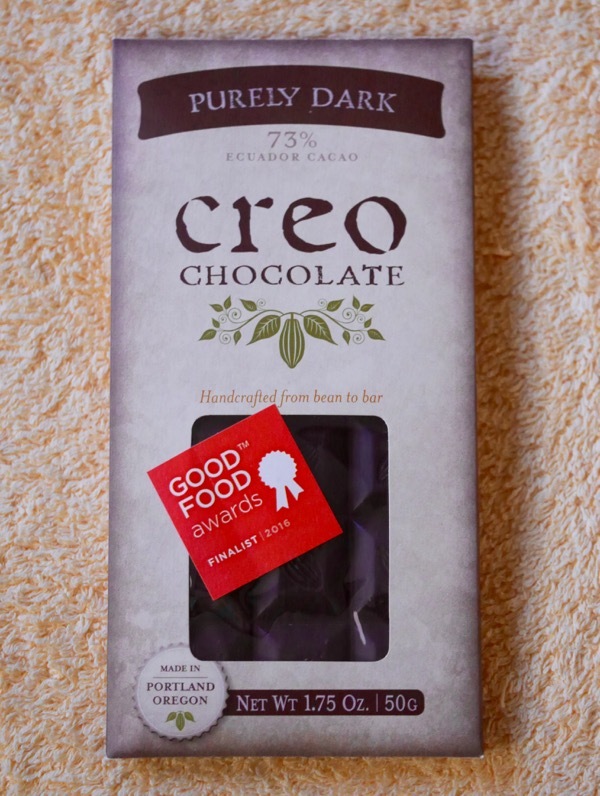 Today's Purely Dark 73% Ecuador Cacao bar from Creo Chocolate (Portland, OR) was a Good Food Awards Finalist for 2016. As I approach my 10-year Chocolate Banquet anniversary (Sept. 11), it was wonderful to return to bean-to-bar chocolate this week. This Ecuador craft chocolate bar had a dark ebony hue and subtle, chocolate brownie aroma. The bar had a predominantly smooth melt, with the exception of one very small area with slight granularity. 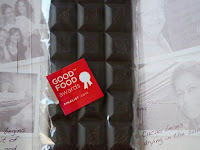 At first, it tasted like a conventional, relatively sweet, uniform dark chocolate bar. But then other flavors unfolded. Very slight nuttiness, and fleeting floral and tropical fruit notes. There was a very slight ammonia funkiness in a small part of one bite. (This was the the area of very slight granularity mentioned above.) But other than that it was a wonderfully complex and interesting ride, that ended with a clean chocolatey finish. 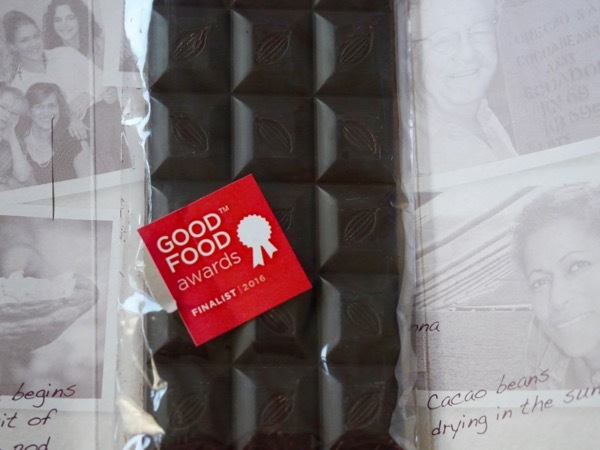 The bar was made with Heirloom Arriba Nacional Cacao beans. Inside the packaging were some photos of Ecuador farmers (and beans drying), and a bit more of the bar's origin story.